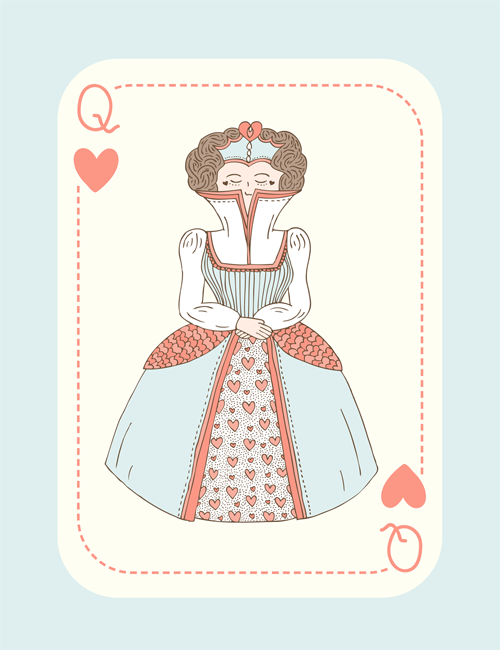 For day 24 of #the100dayproject I illustrated a character design for the Queen of Hearts from Alice in Wonderland. Rather than leave her in my sketchbook I thought I'd scan her in, give her some colour, and turn her in to a playing card design! And see another character I developed in to a finished illustration here.